Welcome to another edition of The apps of KDE 4.10. This time around I’m going to be touching on the KDE BitTorrent client KTorrent. 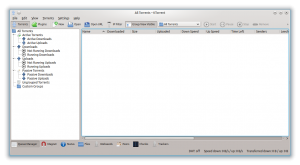 KTorrent represents KDE’s take on what a BitTorrent client should be. It presents a relatively standard interface that reminds me a lot of other fully featured BitTorrent clients such as uTorrent and Deluge. Being a KDE application it is also one of the more fully customizable BitTorrent clients out there, although not to the scale of some of the advanced menus seen in Vuze. It allows you to customize various options including things like encryption, queuing options and bandwidth usage. It also benefits from using a bunch of shared KDE libraries. When I checked its memory usage it was sitting at a respectable 16MB which makes it not the leanest client but certainly not the heaviest either. Similar to Deluge, KTorrent supports a wide array of plugins which allows you to really tailor the program to your needs. In my testing I didn’t notice a way to browse for new plugins from within the application but I’m sure there are ways to add them elsewhere. I have to admit that I actually went into this article expecting to have a lot more to say about this application but the bottom line is this: it does exactly what you expect. 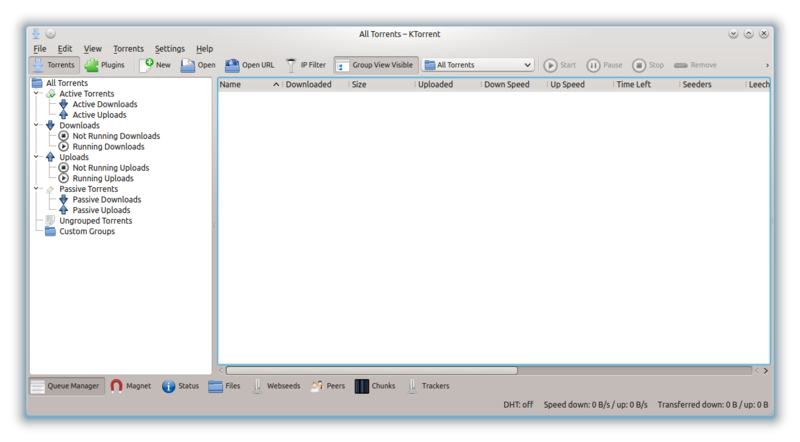 If you need to download torrent files then KTorrent might be for you – and not just if you’re running KDE either. Perhaps its because KTorrent covers the bases so well but I actually can’t think of anything that I dislike about it. It’s a solid application that serves a single purpose and what’s not to love about that?